The audiometer is used by audiology centers and ear, nose and throat (ENT) specialists for measuring hearing loss. It is usually one of the methods performed as part of an audiometry test. Both hardware and software-based audiometers are now available from various providers. Audiometers built as a physical device emit audio tones at varying intensities. During the hearing loss evaluation test, the machine’s output is fed to headphones and heard in each ear separately by the subject. A feedback button that can be pressed enables the subject to acknowledge each tone as they hear it. The device can be a standalone machine or hooked up to a computer that controls the output and records all the feedback. These machines are made using different kinds of technologies, depending on the intended usage. Some are portable, others handhelds, and still others may be full-fledged systems that are meant to be used in one place. All of them are either bone-conduction or air-conduction audiometers. Software-based audiometers produce the same tones, and subjects respond in exactly the same way. The main difference is that the software has a stored database of sounds. The tones are simply piped into the headphone through the system’s sound card. The hardware audiometers that are used by hospitals, audiology centers and researchers are expensive, but incredibly accurate and reliable. It’s important to make sure these machines are calibrated regularly so that the tone heard by the subject matches the level displayed on the machine. Calibration requirements also ensure standardized testing and results regardless of where the machine is being used. Audiometry software is much more affordable by comparison, and can be used by anyone even at home. Calibration is not so easy for the software, which means there will be some accuracy loss. It’s still quite useful for regular self-testing, and will let the subject know if any further checkups and medical treatment are needed. Regardless of whether it is software or hardware, the aim here is to determine at what point the subject fails to hear the tone. Physicians use this device as a useful aid for diagnosing hearing problems and treating them. The suggested course of action may vary, but usually includes a thorough cleaning of the ears to remove obstructions, followed by ear drops and maybe even a hearing aid and/or surgery if the problem is more serious. Industrial audiometric testing also needs the same audiometers, and the process followed is about the same as described above. However, subjects are not required to go the clinic or audiology center. Rather, a mobile lab packed with all the equipment and technicians is dispatched to the industrial facility to evaluate how workers are being affected by the onsite noise. 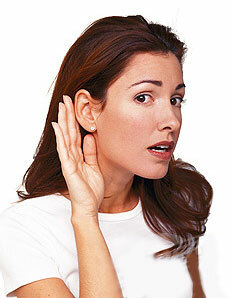 The tests performed on industrial workers are not just for evaluating their personal hearing loss. The results allow the company to identify trends and add more noise-muffling technology if a lot of workers are showing signs of weakened hearing ability. It may also be required under group health plans. Either way, an audiometer used in an industrial environment must be calibrated to a high degree of precision, which means it must be accurate to within a few fractions of a decibel.